Formed in 2005. Rock band from Tokyo. In June 2009, made their major label debut with “Shinkokyu”, theme song for anime “Naruto –Shippuuden-“. 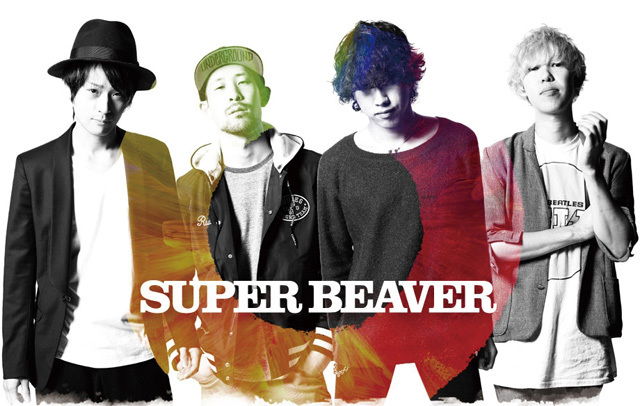 The lyrics for their 3rd EP “SUPER BEAVER”, released in October 2010, expresses a hope for the future within the sorrowful daily life. The unique atmosphere created by the lyrics caught the attention of the producer of the movie “Solanin”, which earned the band an insert as a song played by a band that appears in the movie. In 2011, left their record label and agency and held more than 100 live performances annually. In February 2014, released the full-length album “361°” from a new label to begin a fresh start.